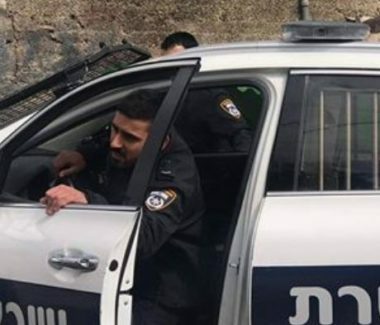 Israeli police officers abducted, on Friday before noon, a Palestinian teenage boy, from the al-‘Isawiya town, in the center of occupied East Jerusalem, and took him to an interrogation facility. Media sources said the soldiers detained the teen, identified as Ahmad Mustafa, while walking on Nablus Road, in Jerusalem, for wearing a shirt advertising for the Palestinian Marathon which comes to counter the Israeli marathon in the occupied city. On Friday at dawn, the soldiers abducted Mohammad Abu al-Hummus and took him to an interrogation facility in the city, for calling for the marathon.